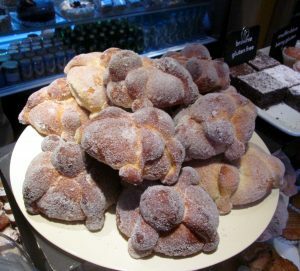 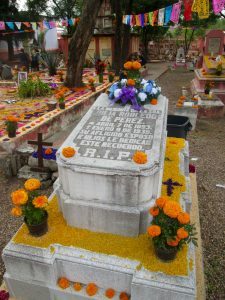 What began several thousand years ago among the indigenous peoples of Mexico, Día de los Muertos (Day of the Dead), November 2nd on the calendar, has since grown to become an enormous fusion of pre-Hispanic and Christian religious traditions – a colorful explosion of life-affirming joy meant to demonstrate love and respect for dead loved ones. In this gringa’s long life experience, there’s simply nothing like it. 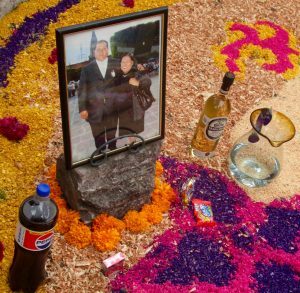 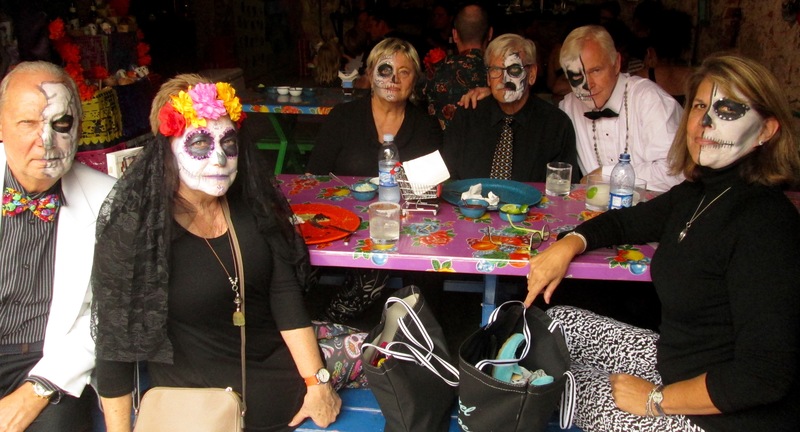 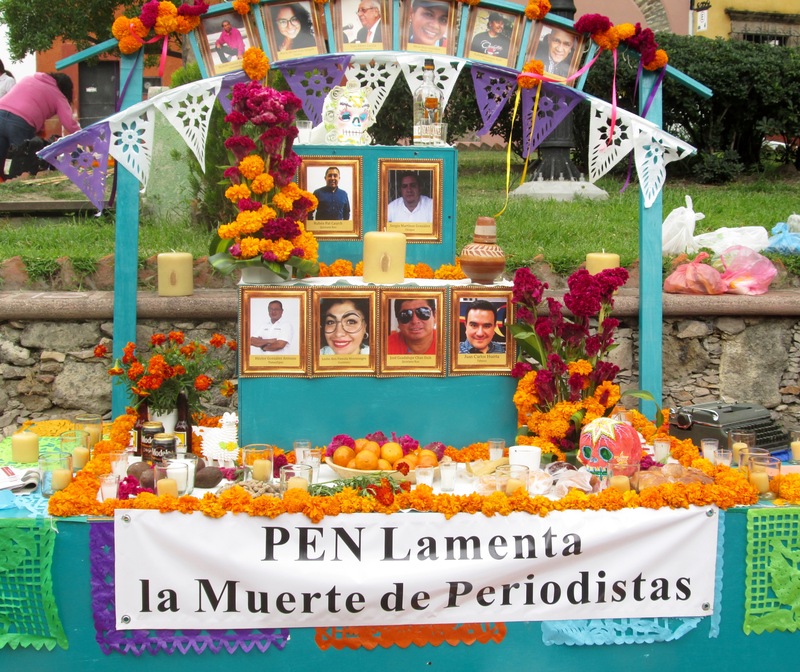 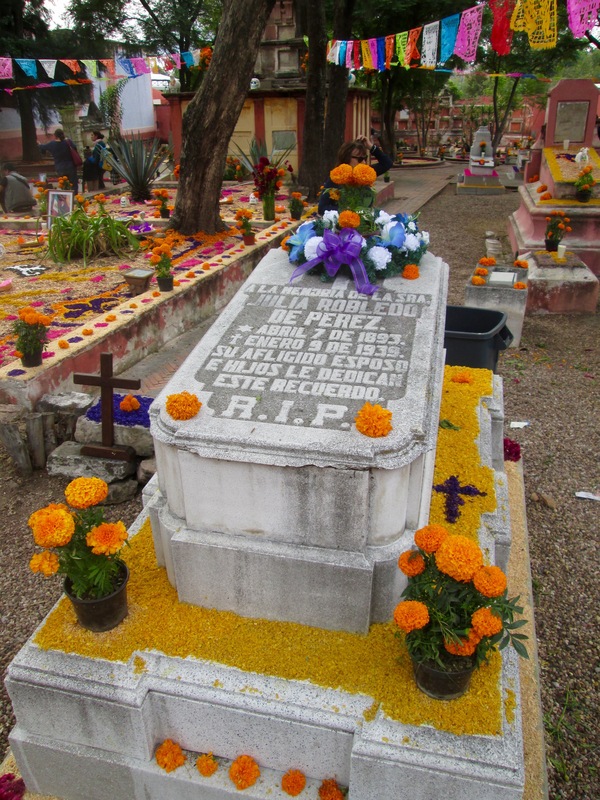 If you haven’t already enjoyed the Day of the Dead celebrations in Mexico, you simply must plan a trip for this time next year. 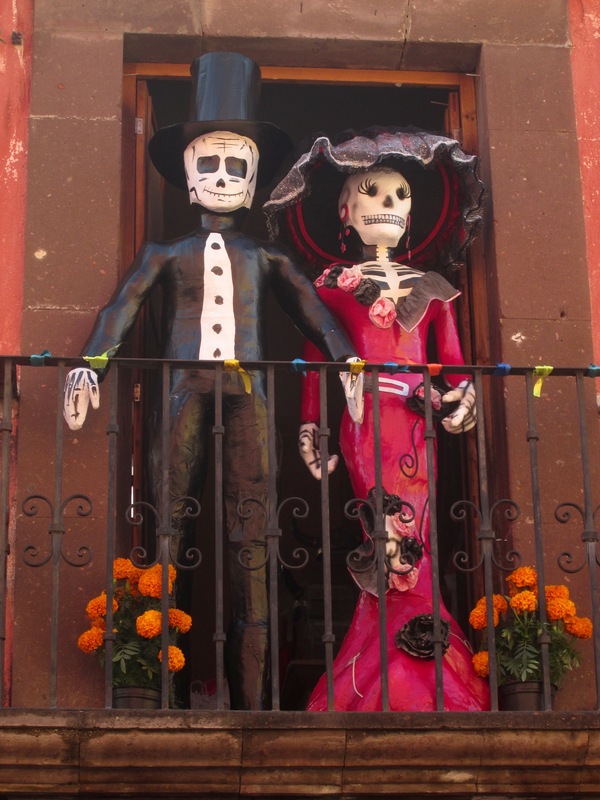 But in the meantime, to seduce you into making those travel plans, I’ll share some sights, sounds, and smells from my Day of the Dead walkabout yesterday here in glorious San Miguel de Allende. 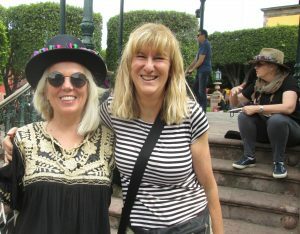 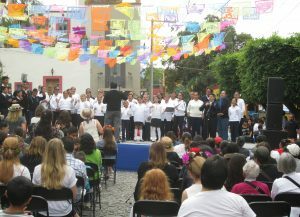 In the Jardin (SMA’s main plaza), I met up with some visitors who’d come all the way from Australia for this celebration. 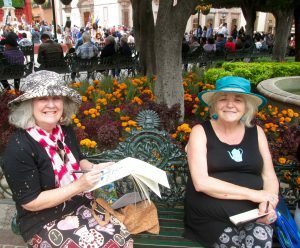 They were part of a group led by artist Kerri Ainsworth, of Art Travel Adventures, which, according to its website, is a boutique art and travel company that “combines immersive cultural experiences with art workshops in exotic locations” (www.arttraveladventures.com.au ). Kerri is a longtime friend of Meagan Burns, who has a similar art-adventure-travel company based in San Miguel, Art Leap Adventures (www.artleapadventures.com ). 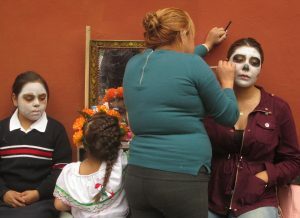 Today, November 3rd, I’m sure all the bread of the dead has been eaten, the marigolds have wilted, the Catrinas have returned to their respective closets, and the face paint has been washed off. 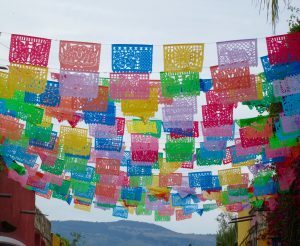 But the paper flags, symbolizing the fragility of life, will likely remain.